Any faculty member who is reviewed for and denied tenure may appeal that decision at the departmental, college, and University levels. The candidate shall be informed of this right, and the procedures for exercising it, when he or she is first notified in writing of a negative tenure decision. For the purpose of determining the start of the terminal appointment of a faculty member who is denied tenure, the date of notification shall be considered to be the date of written notification of the first negative decision, and shall be unaffected by subsequent appeals. Notice of a terminal appointment must be given in writing to an individual, which allows that individual to serve two full academic terms following receipt of the first written notice of the negative decision. An academic term [i.e. semester] is the period of time beginning two working days before registration and ending on the last day of final exams. For those notified of nonrenewal before the start of the final year of appointment, the final year fulfills the requirement of two terms of notice. However, if appeal within the University is in progress at the end of the terminal appointment, the appointment shall be extended until the appeal is complete. Should any party involved in an appeal find that he or she is unable to comply with one or more of the deadlines specified in this document, that party may, prior to the lapsing of the deadline, apply to the Dean of the Faculty for an extension. If the Dean finds the reasons given for an extension sufficient to justify it, the extension shall be granted and all involved parties notified. All extensions shall be for a specified period of time. In cases where an extension is granted at the request of the appellant, the appellant’s appointment shall not be extended under I.B. beyond the duration of the normal term of an appeal without the consent of the Provost. Faculty members shall retain full access to the office of the Ombudsman prior to and in the course of the appeals process. The candidate may waive the right to written explanations from the department chair and the dean, or may decline to pursue the appeals procedure at any stage. However, the appeal procedures herein described must be followed sequentially. Waiver of any stage of the appeals procedure shall cause the candidate’s right to proceed further to be forfeited. Thus, failure to request reconsideration of a negative departmental decision (see Section II), or failure to respond to a negative proposed decision at the college level (see Section III), will constitute waiver of further appeal rights. Any faculty member has a right to receive a timely reconsideration of a negative departmental tenure decision before that decision is forwarded to the dean. Within three weeks after being notified that the departmental decision is negative, the candidate will receive a written statement of the reasons for the decision and the nature of the evidence unless the candidate expressly relinquishes his or her right to receive the statement within one week of said notice. The statement shall respect the limits set by the need to preserve confidentiality. If the candidate wishes to have the departmental decision reconsidered, he or she shall respond to the chair in writing within three weeks of receipt of the chair’s statement of reasons. The candidate may address any issue that he or she deems appropriate, and may present new evidence. The eligible voting faculty shall consider the chair’s statement and the candidate’s response, and a second vote shall be taken. The final departmental decision and the reasons for it shall be provided in writing to the candidate within three weeks of receipt of the candidate’s response. Note: In the Law School, in II.A. “departmental” shall refer to the appointments committee. In the Hotel School, “departmental” shall refer to the ad hoc committee, and “chair” shall refer to the assistant dean for academic affairs. In the Graduate School of Management, “departmental” shall refer to the ad hoc committee, and “chair” shall refer to its chairperson. If the department’s (or the college faculty’s in the case of the Johnson Graduate School of Management, the Hotel School, and the Law School) final decision is negative, the dean shall, at the request of the candidate, appoint an ad hoc committee of Cornell tenured faculty members or tenured faculty members from an appropriate academic institution outside of Cornell to review that decision, if the dean has not already done so on his or her own initiative. No one who has participated in the decision or has taken a position on the review may serve on the committee. The candidate shall make his or her request for appointment of the committee within one week of notification of the department’s final negative decision, and the dean shall appoint the committee within three weeks of the candidate’s request. If a dean’s negative decision follows a positive departmental recommendation (or the college faculty’s in the case of the Johnson Graduate School of Management, the Hotel School and the Law School), the dean shall, prior to making that decision, appoint an ad hoc committee of Cornell tenured faculty members or tenured faculty members from an appropriate academic institution outside of Cornell. Within three weeks of receipt of the report of the ad hoc committee, the dean shall furnish the candidate and the department with a preliminary written statement of the reasons for that decision and the nature of the evidence within the limits set by the need to preserve confidentiality. For a two-week period following receipt of the statement, the candidate and/or department shall have the opportunity to respond to the dean, prior to the dean’s final decision. If the dean’s negative decision follows a negative departmental faculty or college/school faculty recommendation, the dean shall within three weeks of receipt of the report of the ad hoc committee furnish the candidate with a written statement of the reasons for that decision, within the limits set by the need to preserve confidentiality, and a copy shall be furnished the department. If the dean’s final decision is negative, the candidate or the department or the candidate and the department in concert may appeal that decision. The appeal must be filed in writing with the dean of the college and the Dean of the Faculty within two weeks of notification of the dean’s decision and must state the specific reasons for the appeal. The reasons must be based on one or more of the grounds listed in the following Section (IV.B.). Failure to raise a particular reason may be treated as a waiver of such a claim in this or any subsequent procedure. During the appellant’s probationary period, he or she was unfairly and seriously hindered in meeting the department’s standards by having been put under obligation to accept unusual and unreasonably heavy duties for the department, college, or University or having been denied departmental support, contrary to the normal departmental practices. During the appellant’s probationary period, he or she was unfairly and seriously hindered in meeting the department’s standards by having been given misleading information or information so inadequate as to be fully the equivalent of misleading information by the department chair or dean concerning the departmental or college expectations of candidates. In the conduct of the tenure review, there were violations of the established procedures and practices of the department, the college, or the University. These violations were so serious that the appeals committee believes they affected the outcome of the tenure review. The evaluation of the appellant was influenced by unlawful discrimination. The evaluation of the appellant was substantially influenced by consideration of factors unrelated to the performance of the appellant in carrying out the professional and collegial responsibilities of his or her position, or by improper and unprofessional consideration of factors which, if properly considered, would be material and relevant. The violations were so serious that the appeals committee believes that they affected the outcome of the tenure review. An appeal shall be heard by an Appeals Committee composed of five tenured University faculty members. At least four members of the Appeals Committee shall be members of the University Appeals Panel. The Dean of the Faculty shall be responsible for establishing the University Appeals Panel, and maintaining a list of members. Each college shall elect five tenured faculty members, or five percent of its tenured faculty, whichever is greater, to the Panel. In addition, the President of the University shall appoint ten tenured faculty members to the Panel. The term of office shall be five years, with a rotation system developed at the time of the initial election. The appellant and the dean of the college shall each nominate four members of the University Appeals Panel. [Note: In cases where the appeal follows a negative departmental recommendation, the dean of the college shall consult with the department before making his or her nominations.] The appellant’s nominees shall choose two of the dean’s nominees, and the dean’s nominees shall choose two of the appellant’s nominees. The four so chosen shall then choose a fifth tenured University Faculty member, who shall chair the committee. The chair shall be from the college of the appellant, except in those colleges where all tenured faculty members participate in each tenure decision. Any person nominated who has previously participated in the review of the appellant or feels unable to render an unbiased judgment or perceives a conflict of interest shall disqualify him or herself. However, in those colleges where all tenured faculty participate in each tenure decision, the automatic disqualification of that college’s Appeals Committee members shall be waived if that is agreeable to both parties. The Committee’s review shall be limited to determining whether any one of the five possible grounds for appeal (listed in Section IV.B.) has been established. The Committee may, if circumstances warrant, investigate and return findings concerning possible violations of the grounds for appeal (listed in Section IV.B.) not raised by the appellant. The Committee shall recognize the central role of peer judgment in tenure decisions. Hence, the Committee shall avoid substituting its assessment of the appellant’s professional qualifications for those of the department and the experts outside the department who have been asked to submit evaluations. The Committee’s role in judging professional merit shall be limited to determining whether the recommendations of the department and the dean were arbitrary and capricious as defined in IV.B.5. or based on the inappropriate considerations listed in IV.B.3.and IV.B.4. The dean of the college has a major responsibility in setting the priorities and maintaining the standards of the college. Therefore, the Committee shall avoid substituting its judgment in those matters for that of the dean. It is impossible to make precise and universally agreed-upon evaluations of candidates. Therefore, the possibility that a different group of reasonable people might have come to a different conclusion concerning the merits of the appellant is insufficient grounds to sustain the appeal. Comparisons with other tenure review cases may be used by the Committee in certain cases (See Section IV.F.l.). However, the Committee shall recognize the right and duty of departments to improve their quality or take into account different departmental needs, so long as this is not done as a pretext. A weak previous tenure appointment shall not by itself be taken to define the departmental standard. The Committee shall have access to the tenure file of the appellant. If the appellant charges that the decision was arbitrary or capricious as defined in Section IV.B.5. or based on the inappropriate considerations listed in Sections IV.B.3. and IV.B.4., and if the Committee finds it essential to read the files of recent comparable cases within the college of the appellant to examine that charge, it shall have access to those files as well. However, the Committee shall not as a matter of course request access to the files of recent cases within a department or college. The Committee shall scrupulously protect the confidentiality of all documents and testimony. In addition to examining written material, the Committee may hear the views of the principal parties and others it deems appropriate. The Committee shall not be required to keep a transcript of its proceedings. The Committee shall maintain a record of the names of the persons interviewed and the titles of the documents considered. The Committee shall report in writing within eight weeks after being formed. The report shall be furnished to the appellant and the department and the college dean. It shall give the Committee’s findings, and the reasons for those findings. These findings should be directly responsive to the grounds for appeal listed in Section IV.B. Before issuing the report, the Committee shall circulate a draft to the appellant and the department and/or college dean and invite responses. If the Committee finds that none of the five possible appeal grounds (see Section IV.B.) has been established, it shall reject the appeal. This decision shall not be subject to further appeal within the University. If the Committee finds that the ground for appeal in Section IV.B.l. has been established, it may recommend that the appellant’s appointment be extended for a fixed period, after which a new tenure review shall be undertaken. It is expected that the dean will follow the Committee’s recommendation. If the dean chooses not to grant the recommended extensions, the Committee’s report and the written response of the dean shall be forwarded to the Provost. Within four weeks, the decision of the Provost and the reasons for it shall be given in writing to both principal parties, and a copy shall be sent to the Committee. The decision of the Provost shall not be subject to further appeal within the University. If the Committee finds that any other ground for appeal in Section IV.B. has been established, it may return the case to the dean of the college for reconsideration. The dean shall promptly take appropriate action to correct the deficiencies that the Committee has found, and shall provide a written report of the reconsidered decision to the Committee, the department, and the appellant. If the reconsideration results in an affirmation of the original decision, this judgment shall be reviewed by the original Appeals Committee, which shall take the following action. a. If the Appeals Committee finds that the tenure review process no longer has serious deficiencies, it shall reject the appeal. This action shall not be subject to further appeal within the University. b. 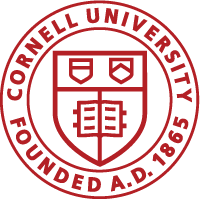 If the Committee finds that the tenure review process continues to have serious deficiencies and that an independent academic evaluation is appropriate, a panel of professionally qualified and not previously involved expert scholars from inside or outside Cornell shall be appointed to review the case and make a recommendation as to the granting of tenure. The panel’s review shall not constitute an additional appeal from the department’s or dean’s decision, but shall constitute a new independent judgment concerning the candidate’s academic qualifications for tenure. The panel shall be appointed jointly by the chair of the Appeals Committee, the Dean of the Faculty, and the President of the University. The panel shall be entitled to all of the evidence on which the original substantive decision was based and shall be entitled to collect such further evidence deemed necessary to reach a new substantive judgment. The recommendation of the panel of expert scholars and the response of the Appeals Committee, the dean, the department, and the appellant shall be forwarded to the Provost. Within four weeks, the decision of the Provost and the reasons for it shall be given in writing to both principal parties, and a copy shall be sent to the Committee. The decision of the Provost shall not be subject to further appeal within the University. Note: Nothing in this document shall be construed to prevent an appeals committee from attempting to arrange an informal settlement of the complaints if it believes that fairness can, thereby, be served and that such an arrangement best serves the interests of the appellant, the department, the dean and the University. No action may be taken under this provision unless it is agreed to by the dean, the department, and the appellant. The Dean of the Faculty shall maintain copies of all reports of Appeals Committees and shall maintain records of all subsequent actions within the University that occur in these cases. At the completion of an appeal, all case files shall be returned to the dean of the college. On completion of the appeal, the chairperson of the Appeals Committee shall provide to the Dean of the Faculty a letter describing any difficulties encountered in applying or interpreting these procedures. The Dean of the Faculty shall maintain a file of these letters, a digest of their central points, and other documents useful to subsequent appeals committees or to anybody authorized by the FCR to evaluate these procedures. Adopted by the Faculty Council of Representatives, May 13, 1981, Records, pp. 5342-54C; Executive Committee, Board of Trustees, May 30, 1981, Records, p. 10,808, Appendix D, Records, pp. 10,831-38; Board of Trustees, May 30, 1981, Records, p. 10,856; Faculty Council of Representatives, October 10, 1984, Records, pp. 5923-39C (with editorial and stylistic changes incorporated by the Dean of Faculty and University Counsel); Board of Trustees, January 25, 1985, Records, p. 357, Appendix A, Records, pp. 372-78. Amended by the Faculty Senate, March 13, 2002, Records, pp. 9393-9394S, Appendix 2; Board of Trustees, June 20, 2002.